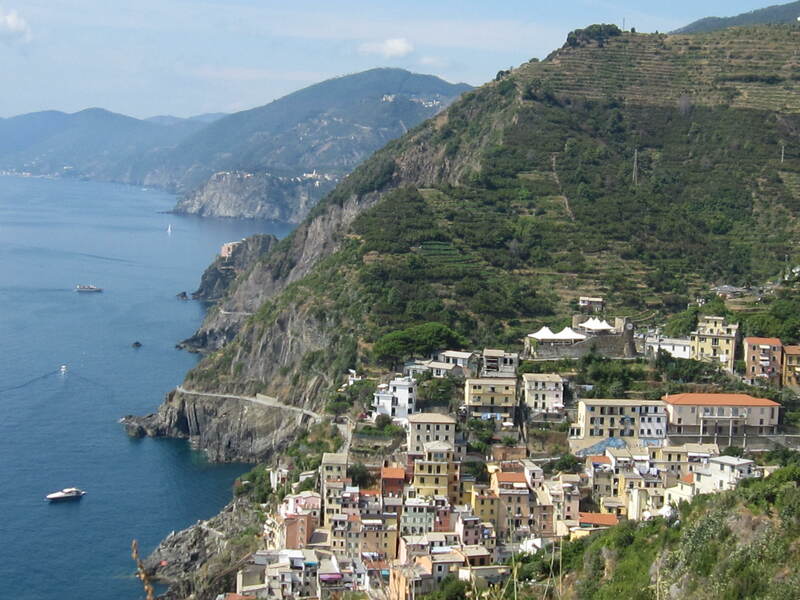 La Cinque Terre – an awesome view and a beautiful village! Nice view expertly captured. Thx for sharing. Appreciate your extra effort! Have a fabulous weekend … by the sea. It was beautiful and unfortunately over. I’m back home now. What a gorgeous photo. Now if I could only teletransport myself there for the weekend from Tasmania here! Well now if I could transport myself to Tasmania! It must be beautiful there. That picture is absolutely beautiful! Love it! I went there many years ago to write, the main character in my novel comes from one of these fishing villages, so I decided I had to hang out for a couple of weeks, did you stay in one of the villages? Didi, we seems to choose the same holiday places as we do places to live! We were staying about 40 minutes from Cinque Terre. The first time we came we rented an apartment in the highest of the 5 villages and did everything by train. This time we hired a tiny motorboat and did it all by sea. Heavenly! I recommend it!